If you stay on the Markus Lupfer website long enough, a cuckoo clock comes on to tell you the hour. And it's about that time of year we start seeing what designers have to offer for the warmer seasons. We liked Markus Lupfer's Resort and Spring/Summer '10 collections so much, we had to show you both! The London-based designer plays with graphic prints, slogans, studs and silhouettes really well and we're cuckoo for them. See some of our favorite pieces below. 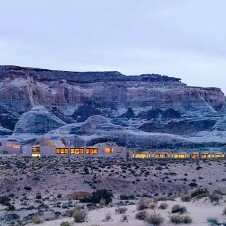 Get HealthyYour Next Vacation: The Utah Desert?